SALT LAKE CITY — A drone stuck near the top of the LDS temple in Draper has put a tiny spotlight on the intersection of drone pilots, private entities, cities and the federal government. Drew Armstrong often flies drones — or unmanned aerial vehicles — on the outskirts of temple grounds to photograph LDS temples. He said he was flying near the perimeter of the Draper Utah Temple grounds on June 26, when someone who identified himself as the temple’s site manager approached him. The man asked him to fly over and get a visual of where a drone was stuck near the top of the temple’s steeple, Armstrong said. It is presumed that the drone, which has been sitting near the top of the temple for weeks, had crashed. “I had the site manager looking over my shoulder wanting to see what was on my iPad because we were trying to figure out how to get the other drone off,” Armstrong said. 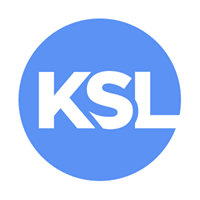 Written by DEVON DEWEY, KSL News.com. Modern drone crashing into a original drone.